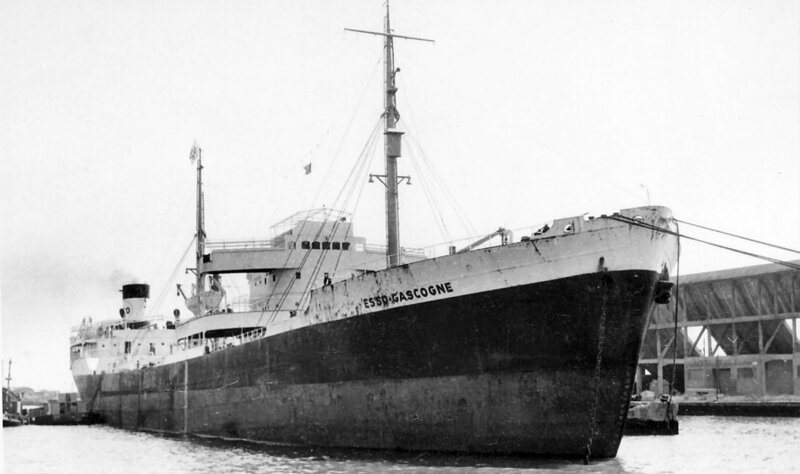 The first "Esso Gascogne" was build in 1931 as "Esso Balbao". In 1950 she came to France. "Esso Balbao" during War time. Sistership would be the "Esso Colon", but she was delivered as "Esso Hamburg" to DAPG, Hamburg, Germany. The Miramar Ship Index for "ESSO BALBOA"
ESSO GASCOGNE (l) (1950 -1964) F.N.R.X. 9554 g. 6000 n. 14750 d.;148.80 x 20.06 x 11.03 meters. 6 Cyl. 2S.C.DA. oil engine oil' 1167 MAN by Masch.Augsburg-Nürnberg A.G., Augsburg. 10 knots. 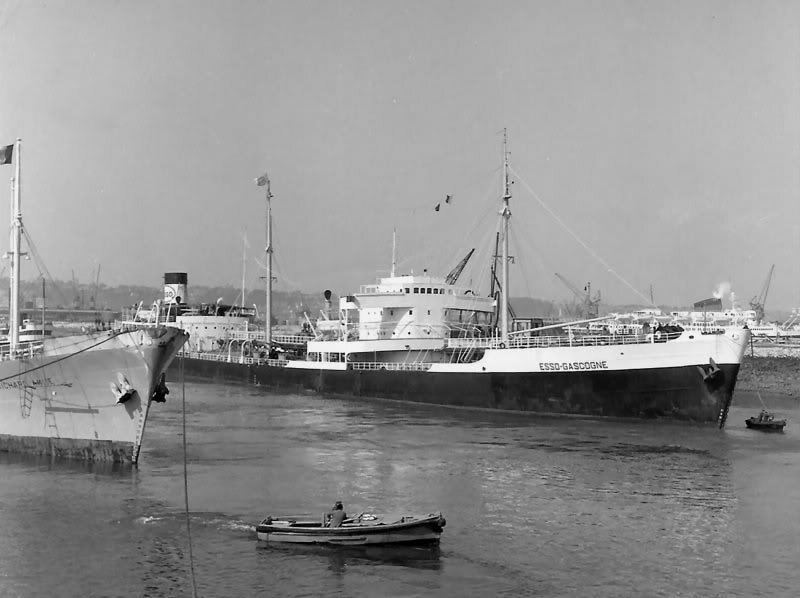 10.1939 : completed by Deutsche Werft A.G. (224), Hamburg as ESSO BALBOA for Panama Transport Co., Panama. 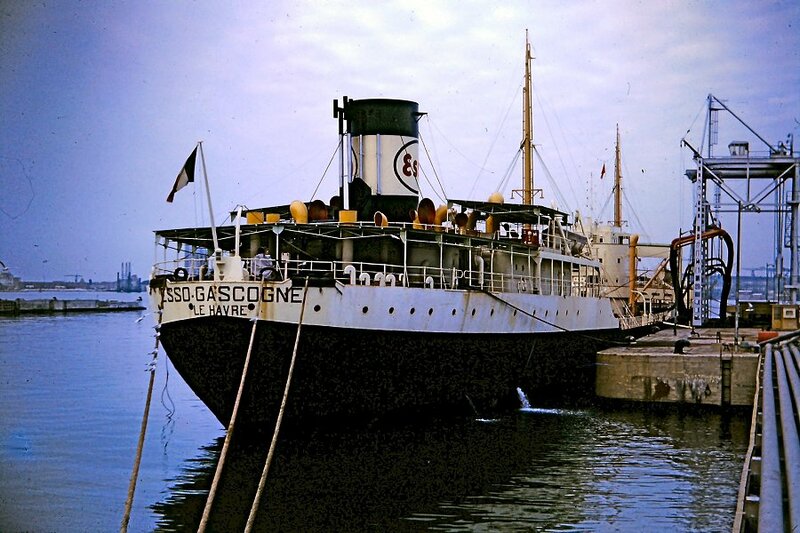 03.1950 : purchased by Standard Française des Pétroles, Havre and renamed ESSO GASCOGNE. Prior to 24.04.1964 : arrived at Alicante (Spain) for demolition.